Sometime you might be outside, the guests are arriving for lunch. You planned to serve it on the patio outside the house. Just before they arrive, you get a whiff of a terrible sewer smell. The plumbing roof vent pipe and yard-based septic vent pipe is a necessary part of your plumbing system. 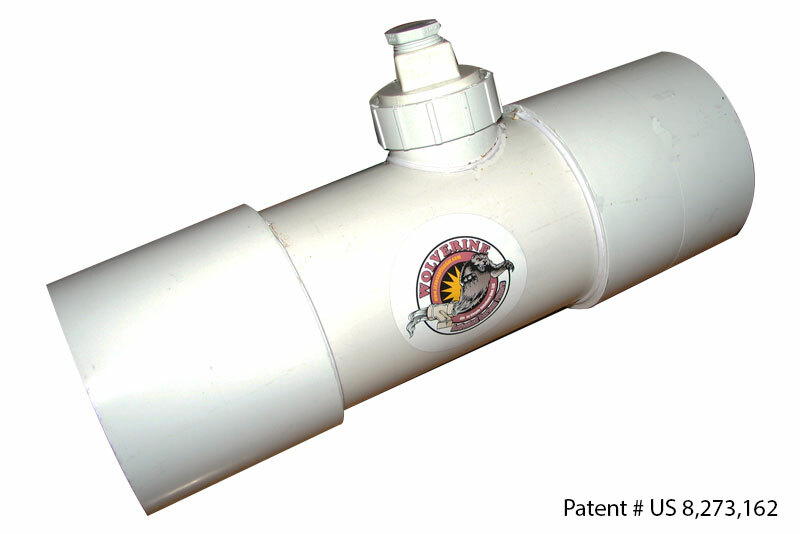 The purpose of the stink pipe, as it's sometimes called, is to enable the pressure in your drain system to equalize. When water and waste flows down your drains, pressure in your plumbing drains increases as the air in the system is displaced by water and waste. 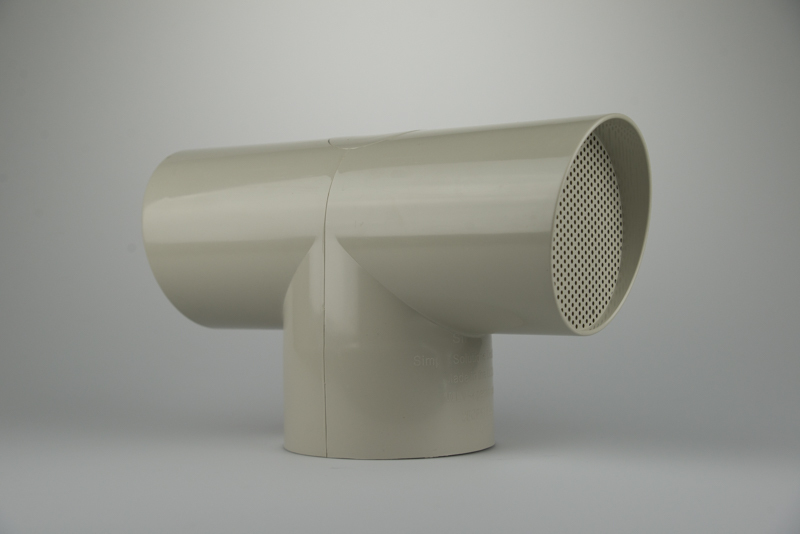 Without the roof vent pipe, the drains would gurgle up into your sinks, tubs and toilets. The plumbing roof vent pipe, and yard-based sewer vent pipe, are also a place where septic gases and sewer gases exit the system safely. These gases are a natural byproduct of the bacteria that break down the waste in either your septic system or sewer line. Because of this naturally occurring cycle, the septic and sewer gases have a foul odor. Normally, the gases are carried up and away from the system’s stink pipe. However, under certain conditions, these hydrogen sulfide (also known as H2S) and methane gases might be pulled down into your yard around your home or place of business. There is also a new style septic system design called a pressure dose septic system. This style septic system is becoming more popular as it utilizes both a solids and a liquid septic tank. By separating the liquid from the solids, it allows for a cleaner liquid to be pumped up into the leeching field allowing the leeching field to be significantly smaller than what would be necessary in a standard septic system. For safety reasons, this style septic system requires that the liquid tank be vented to purge the hydrogen sulfide and methane gases away from the electronic pump found in the septic tank. With pressure dose style septic systems, the septic gases are purged directly to the yard through a vent causing unpleasant odors, even under the best of conditions. This septic tank vent is typically located somewhere in the yard near the liquid tank. If you notice sewer smell coming from your septic tank vent, don't assume that you have serious problems with your septic system. As we mentioned earlier, hydrogen sulfide is a normal by-product of the breakdown of wastes occurring within your septic system. Different climate conditions, such as temperature variances, temperature inversions and change in wind direction, can direct the gases back toward your living area. This problem can be magnified by the location of your home as well. If your home is located against a hill or near objects taller than your roof vent pipe, negative pressures can naturally develop pulling the septic gas or sewer gas down from your roof vent pipe and into your yard or place of business. In the case of sewer lines, since they don’t utilize plumbing traps, your home or building’s roof vent can be an exit source for not only the sewer gases created within your structure but for all the homes and structures on your main sewer line. So, how do you stop septic odor? 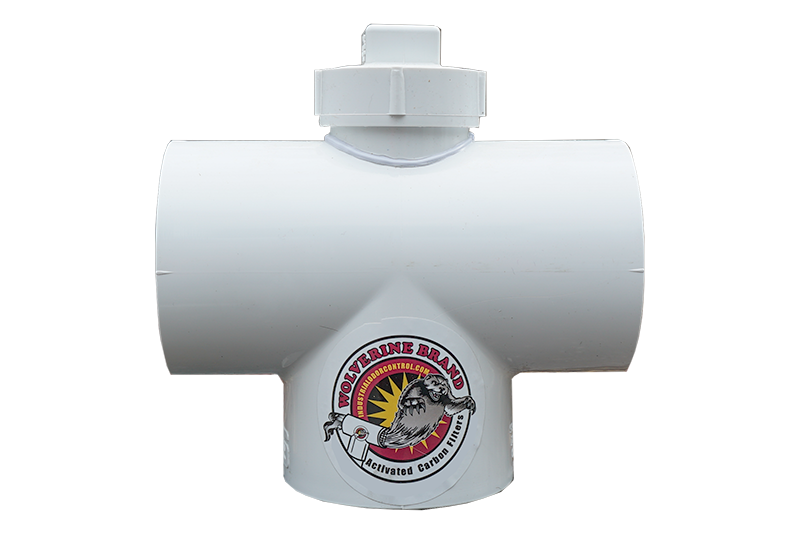 While you can’t stop the creation of septic and sewer gases, you can eliminate the odor that is caused as they exit the roof vent pipe or septic tank vent by installing a Wolverine Brand® carbon filter on top of your sewer vent. 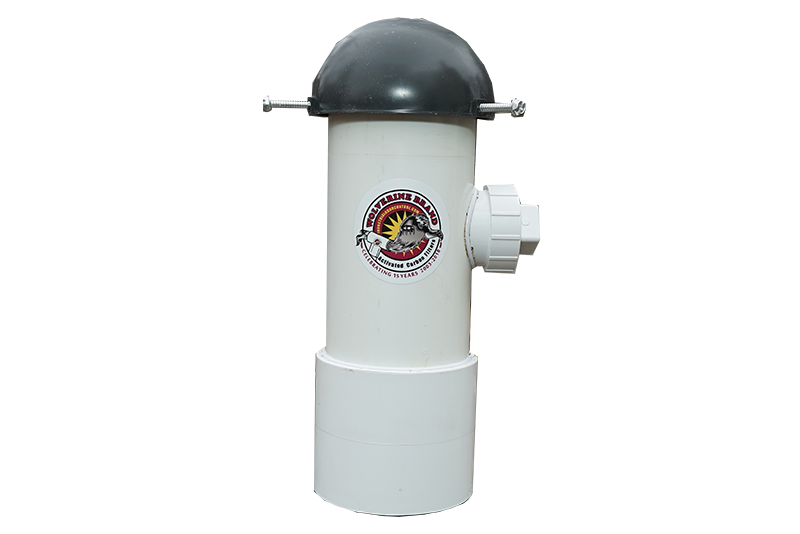 The Wolverine Brand® activated carbon vent filter (sometimes called a charcoal vent filter) was specifically designed to safely remove the hydrogen sulfide and methane gases from the air exiting your septic and sewer vents. And best of all, The Wolverine Brand® activated carbon vent filter is easy to install, comes with a 120-day money back guarantee and a one-year limited warranty. So what are you waiting for? Why not let Simple Solutions Distributing help you permanently eliminate that sewer smell outside your house once and for all. Learn more about the Wolverine Brand® activated carbon vent filter and the entire Wolverine Brand® Family of Odor Control Products. Simple Solutions Distributing LLC is a small business registered in the state of New Jersey. We solve problems associated with landfill odor, septic tank odor, lift station odor as well as custom applications. © Copyright 2019 . All Rights Reserved. Photography Copyright Andrew McGibbon.